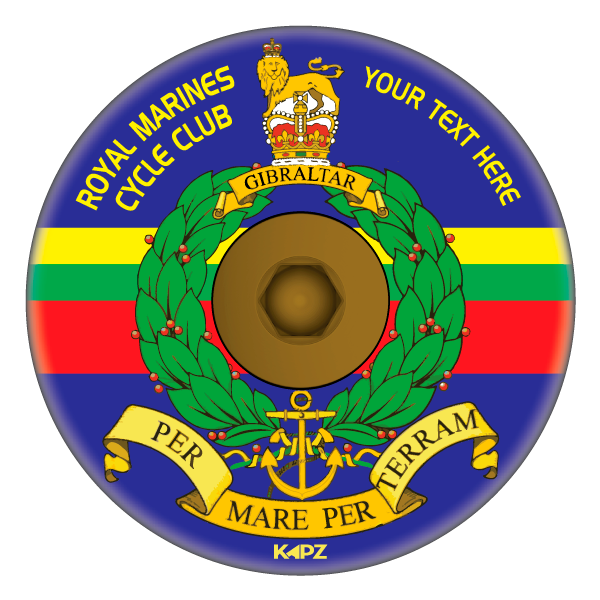 We have completed over 130 of these superb full colour headset caps for the Royal Marines Cycling Club. Great service with an awesome product to add that bespoke addition to your bike. Fantastic personal service with the customer 100% involved. Great flexibility when designing and producing product. Wish every business put so much into making its customers feeling so important. Highly recommended. The Royal Marines Cycle Club KAPZ have been excellent! We have ordered around 130+ so far and not a single complaint or niggle - the quality is amazing, they fit perfectly and look totally Gucci! Many thanks Khush.